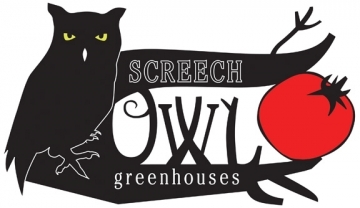 Screech Owl Greenhouses produces hydroponically-grown, pesticide-free produce and herbs year-round. The items we sell vary according to growing cycles but include tomatoes, cucumbers, lettuce, peppers, eggplant, Swiss chard, Thai basil, Asian greens, cilantro, onions, potatoes, artichokes, parsley, cutting celery, catnip, sage, rosemary, basil, dill, and thyme.rnrnOur greenhouses are heated with used motor oil (in the winter), and we also use rain water to irrigate our crops. The greenhouses are open for sales on most days. We also sell at several of the local Farmer's Markets, including the Pittsboro (Thursday, 3:30-6:30) and and Western Wake markets (Saturday mornings). If you need produce or have any questions about our operation, feel free to call us at 919 389 8643.